There are some household maintenance tasks that pay off more than observing a maintenance timetable for your HVAC Mississauga unit. Not only will you give yourself the best chance at staying cool throughout the summer season, but you’ll also evade emergency breakdowns. A properly maintained AC unit will cost less money to run, use less energy and run more efficiently. Such a system will also last longer before needing a replacement. Keep in mind that you can carry out some of the maintenance tasks but others require the services of a qualified HVAC contractor. 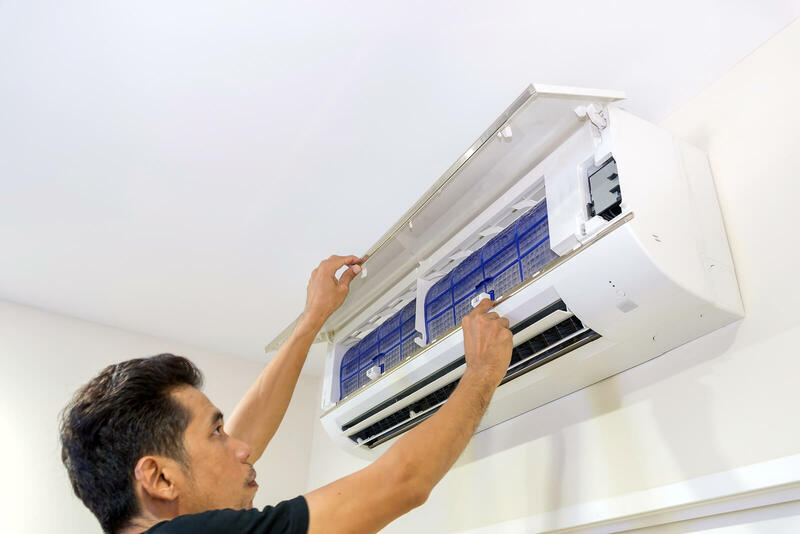 If you feel uncomfortable with performing AC maintenance tasks on your own, do not hesitate to call on an expert to do it for you. Observe all safety precautions such as shutting down the power to your unit before doing anything with it. Here are a few maintenance tips. Washing your air conditioner’s filter is one of an essential AC maintenance chores. During summer, you need to clean your filter every month because your AC works twice as much throughout that season than it does in the spring. When the filter accumulates allergen particles, dirt and dust, the air flow decreases making your system work harder than it should have to. The air flowing through your system may also become dustier and dirtier which can initiate asthma and allergy symptoms for those living in the home. Prior to working on your AC conditioner, always turn off the power to the unit. Then, take out the access panel on your condensing units to search for any signs of melted or overheating wires and the like. Check all electrical links to make sure they are tight. If you own an electrical test meter, you can check the capacitors in the unit. Should you notice any of the aforementioned issues, be sure to contact an HVAC contractor because only a qualified professional should handle electrical issues. Check your thermostat to ensure that it’s functioning properly and keeping your home at the correct temperature. If you own an old-fashioned mechanical type thermostat, you may want to think through upgrading to a programmable model. This is because a programmable thermostat will allow you to set the temperature higher when no one is home and cool the house down about half an hour before people arrive home for the evening. That way, you’ll always have a comfortable home waiting and get the most out of your AC service. Turn the power to your air conditioner unit and check the fan attached on the top of the external condenser unit to ensure that it’s in good condition. 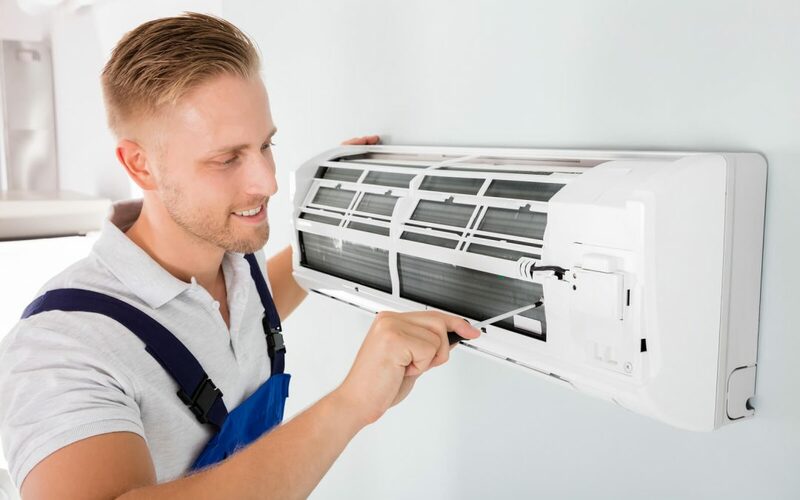 If the fan blades have any cracks or chips visible in one or more of the blades, then you need an AC repair. With time, dirt will accumulate on the outside of your air conditioner unit, reducing system capacity and decreasing air flow. Use a garden hose to gently wash out the dirt starting at the top as part of your AC maintenance routine.